So you have to write a research paper on FDR and the New Deal? Use these library resources below to find the primary sources and secondary sources you need to support your point of view! Click on images to see source. The articles "FDR: Advocate for the American People" and "FDR: Architect of Ineffectual Big Government". 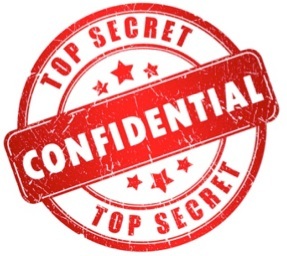 Includes FDR's papers from 1932 to 1945. 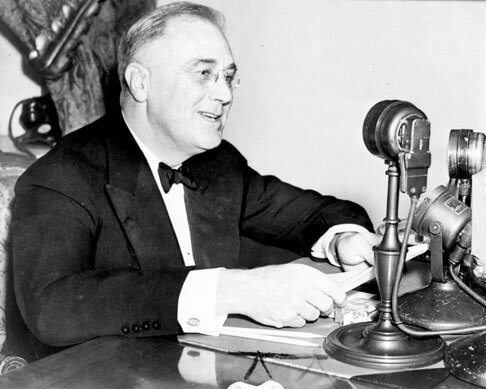 Listen to many FDR speeches and Fireside Chats, including many on the depression and New Deal. Include documents from the Federal Writers's Project (1936-1940) and President Franklin D. Roosevelt's first inaugural address. Search the National Archives website to find resources pertaining to the Great Depression, the New Deal, and FDR. The Work Projects Administration (WPA) Poster Collection consists of 907 posters produced from 1936 to 1943 by various branches of the WPA. Library of Congress collection of digitized newspapers. Choose date range and add specific search terms. Will work best if you do NOT limit by state. 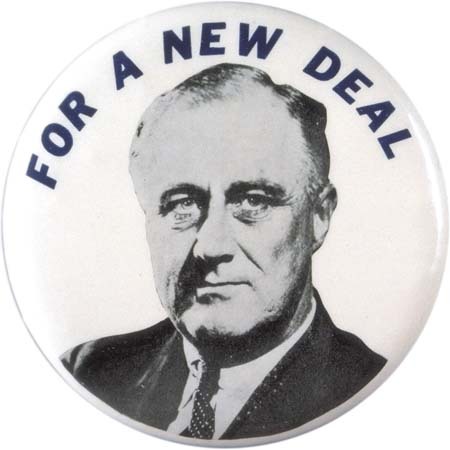 Try a simple search for "New Deal" or the "Great Depression" to find some excellent secondary sources! Refine search to "exact phrase" and "document"